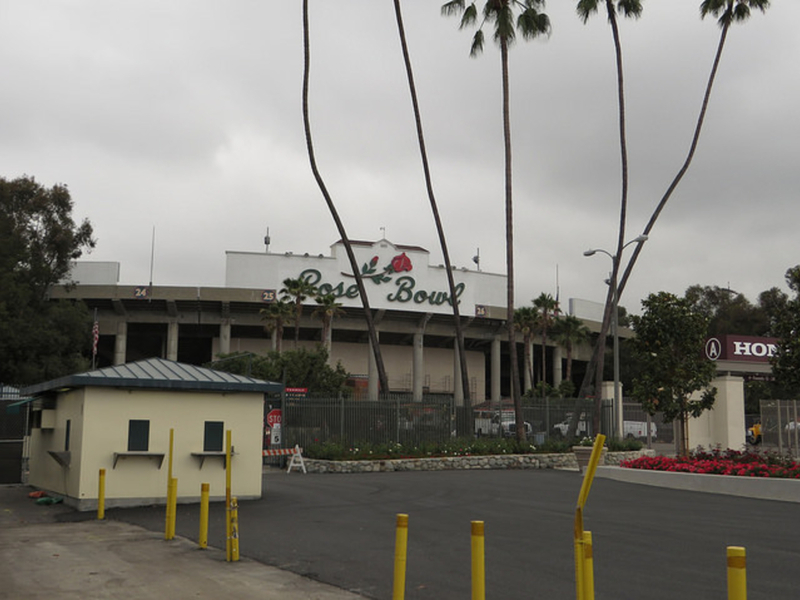 Take a run around the historic Rose Bowl Stadium. The Rose Bowl is an international symbol of prosperity. Their new years parade is one the most famous in the world. Every year, thousands of people flock to Pasadena, and millions more watch on TV as the manicured floats drive by with pretty people waving on top. That is January 1st. Then there is the Rose Bowl itself. The college football game, that in 2015 attracted the second largest TV viewership of all time! Needless to say, the Rose Bowl has a certain amount of fame attached to the name. You’ve known about the place in some context, but what you may not know is that it’s also a great space to exercise close to the city. If you come on one of the 340-odd days where this is not the center of the sports world, it’s a great place for a nice road run. DO NOT come on those other 15 or so days where there is a football game or flea market (2nd Sunday of every month). If you did not check and had the bad fortune of trying to get there on a day when a football game is taking place, you will be stuck in more traffic than the 405 at rush hour, LAX on a Friday, the grapevine during a winter storm, or Venice on a weekend. You get the idea, don’t do it, and just check the UCLA football schedule for home games. The road surface is flat and well kept all year round. It has a 15-foot wide path that is delineated from the road with permanent physical markers and lots of paint. You will not have to worry about not having enough space, it is even a great place to bring kids. Throughout the entire loop you get an awesome view of the Rose Bowl Stadium. Envision the athleticism of the athletes who compete in that gladiator’s arena and motivate yourself around the loop. Start on the west side of the Stadium and run clockwise around the three-mile loop. Although the space might look flat, there is a slight incline, so keep that mind. You will be going downhill on the west side of the stadium and uphill on the east. The view of the stadium and the easy, well-manicured terrain is nice view as you circle. Casual runners/fast walkers will like the spot for its convenience. Those runners who want to log a lot of miles without much hassle or stress can also benefit from training here. Honestly, this is not the most beautiful or exciting run, but it is a great place to get a pleasant workout in if you do not have a lot of time. Easy to access from either the 210 or the 134 freeway, and follow signs to the stadium. Don’t worry there will be a lot of them. Parking is best, and free, on the West side of the Rose Bowl, or in one of the many parking lots around. You will never have trouble parking, remember, the stadium has a capacity of over 92,000 people.